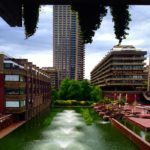 When was the last time you went to Bloomsbury? Not for work. Not on your way to somewhere else. 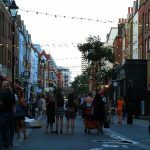 I mean: when did you last find yourself with not much on, and decide that the only way to save yourself from a swirling, brain dead hypnosis at the hands of Married At First Sight USA Series 3 would be the streets between Holborn and Kings Cross? 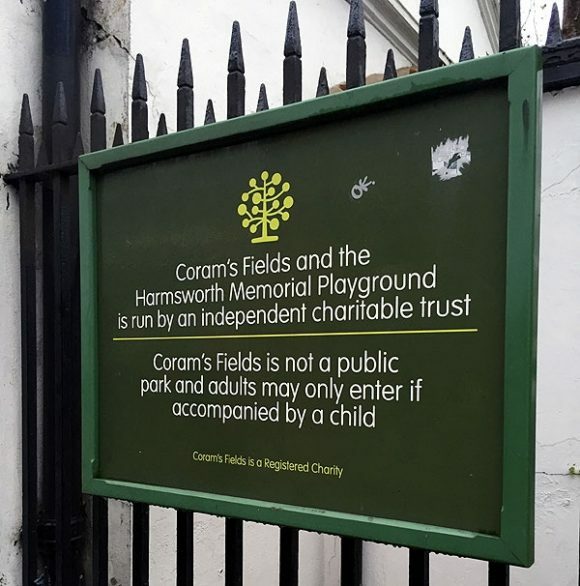 d) parents, because between Coram’s Fields and Great Ormond Street, Bloomsbury’s angling for the fairly niche award of Area That Is Both the First and Last Place You’d Ever Want to Take Your Kids. 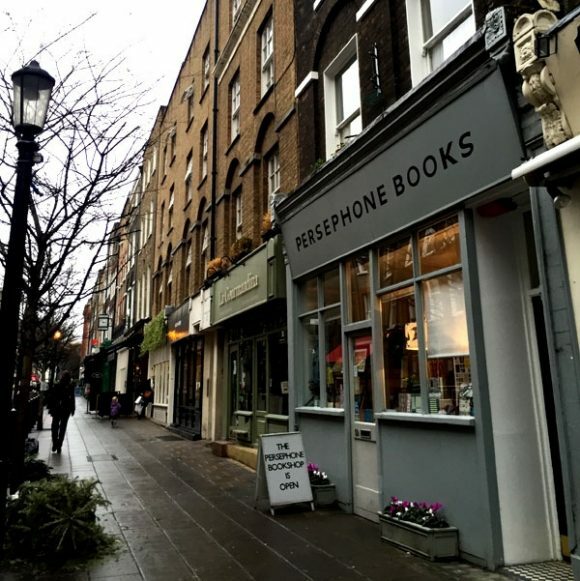 The best time to go to Bloomsbury is at the weekend. It’s the opposite to everywhere else in central London: it’s quiet, and everyone wears their backpacks on their backs. The only people you’ll see either live there, need medical attention, or got lost because they were looking up at all the Blue Plaques. If you dig around the backstreets you’ll eventually end up at The Brunswick Centre. From the outside, The Brunswick looks like a tiny Westfield parked in the middle of communist Russia. It’s a bit like One New Change, in that it’s good if your idea of a day out shopping is having a quick look around Office and Superdrug, followed by a Starbucks Frappacino and a nice sit down. It’s also where I’m reminded that there is a place where people are happy to pay £3 for a jar of Dolmio, and that place is Waitrose, and so if that’s your bag then lucky you; Bloomsbury’s got a massive one of those too. Mostly, I go to Bloomsbury for the cinema. – probably watching a gentle, critically acclaimed documentary about horses. 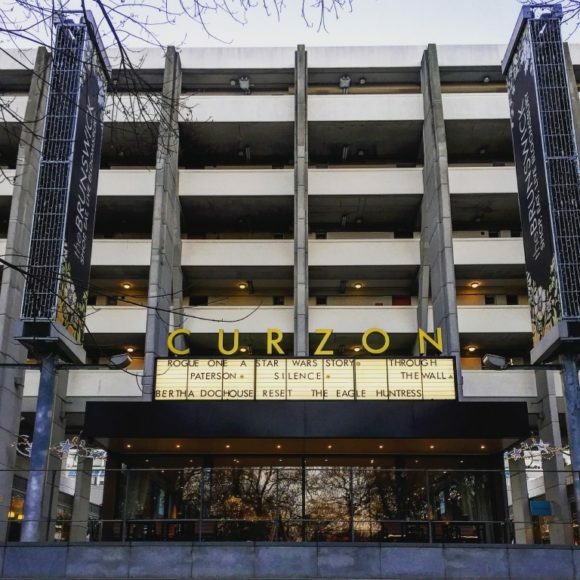 Put simply, the Curzon’s Bertha Dochouse is one of my favourite places to spend a Sunday afternoon. Again, it’s good because it’s usually quiet (bonus points if you’re spotting a theme here) which suits me because other humans make disgusting sounds while eating popcorn in the cinema. It’s really good, and the films are always A+. But don’t bother coming because it’s tiny, and it’s full. I’ve checked. There’s no room. Leave me be. Bloomsbury also has probably one of the most well known Italian restaurants in London. 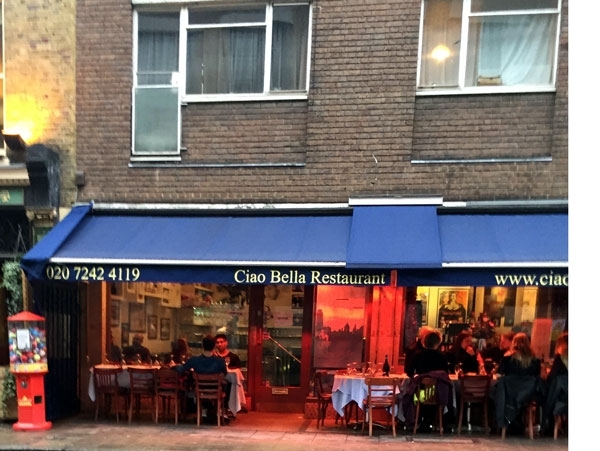 You’ll know about Ciao Bella, particularly if you’ve ever asked people on Twitter to recommend somewhere reliably good and not too spendy to take your parents for dinner. “Ciao Bella” they all chime, identical mentions streaming in one after the other, “go to Ciao Bella”. Everyone bloody loves Ciao Bella. My mates love Ciao Bella. I love Ciao Bella. My parents didn’t love Ciao Bella because it was fully booked, so we had to go somewhere else. They have free breadsticks on the table and serve seafood pasta in a paper bag, and if it’s busy they tell you to sit outside. Even in winter. And you do, because it’s that good. My favourite bit at Ciao Bella was when the young, naive Japanese couple next to us ordered a £6 garlic bread each for starters, only to have two massive pizza-size garlic breads arrive at their table. A few minutes later I watched with glee as their their mains arrived and their faces dropped, and two more enormous pizzas joined the spread. The staff didn’t warn them they’d have too much food. They’re Italian. That’s not their style. Unsurprisingly, Bloomsbury’s also very good if you mega like books. Not only did all your literary faves spend their heydey cavorting around Bloomsbury Square, but I see your branch of Waterstones and raise you Persephone Books. They’re a publisher and a bookshop that made it their brilliant, life affirming business to re-print the forgotten, overlooked, or out of print fiction and non fiction by mid 20th century women writers. The books are beautiful and lovely, and the sort of thing you’d want in your house even if you didn’t know how to read. Unfortunately I’ve had to ban myself from bookshops because I have “a problem” with buying books. So the last time I went, I bought one for someone else. So maybe you haven’t been to Bloomsbury except for work, or passing on a bus. 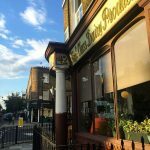 But if you find yourself with a Sunday afternoon going spare, the Perseverance is a good pub, and the squares are nice places to sit. It is also a good place to be a woman who is hungry, wants to watch films and read some books. You should go. But, you know, don’t tell everyone. This is quiet time. I adore Bloomsbury. It’s where I stay when I’m in London (I’m one of those wearing a backpack, bc what else will hold my jacket, water and purse stuff without crippling a shoulder?) It means I have to shop at that damn Waitrose, but the selection is far better than what I could find near where we stayed in Earl’s Court. Plus, I love the King of Falafel nearby and it is all so convenient to going back and forth through St. Pancras, which I also adore. I love visiting and walking through so many different parts of London. But if I’m coming in from the airport, or a long day of sightseeing, Bloomsbury is a joy to return to. I like starting the day there, as well. What surprised me, though, is how many fairly inexpensive places there are to eat in that area. A very welcome surprise. In any case, it’ll probably be another few months, but I can’t wait to get back. Hi Marci, my family and I (Aussies) have never stayed anywhere else but Bloomsbury when in London. 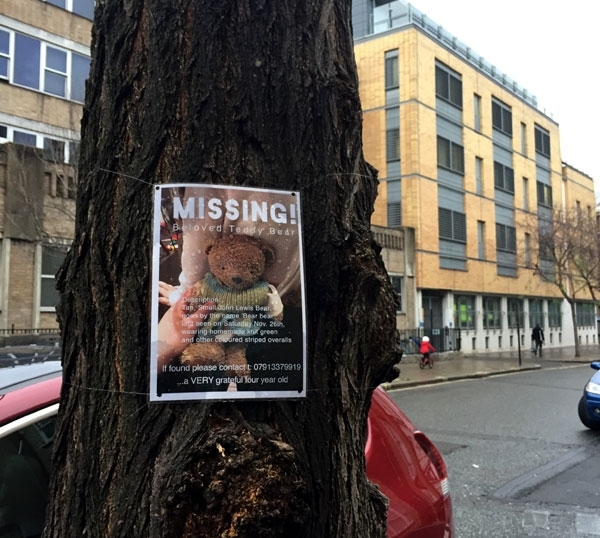 We prefer an apartment (kids) and have used airbnb to find places in Bloomsbury, of which there are plenty. You get more of that feeling of living in London this way (noisy!) I would recommend anywhere close to St Pancras and King’s Cross station. Good luck and have a great visit!